Out and about recently, I got to thinking: how often do I actually have the call for cash anymore? Or, for that matter, anything paper-based? It’s been talked about for years, but are we now entering a cashless, paperless world? Think about it for a minute. When using the Tube, you turn to your contactless bank card, your phone or an Oyster card. Paper travelcards are still available, but a rarity these days. Even if you have to buy a ticket or top up your Oyster card, you are encouraged to use your bank card rather than notes or coins to do so. With the rise of Uber, cash is no longer a necessity when taking a cab. It’s all done online, at the click of a button, charged to your bank account without you even having to think about it. There has also been a massive rise in online shopping in recent years, with any company worth their salt now offering an online delivery service and the likes of ASOS and Amazon booming beyond all recognition. Transactions are completed online, with no requirement to dig deep for that spare tenner. Parking tickets and toll booths, too, are increasingly paid for by phone apps or on card, lessening the need for a whip-round for spare change when payment is needed. Even takeaways – one part of life where cash being handed over was commonplace – have joined the cashless revolution thanks to apps such as Deliveroo, Just Eat and hungryhouse, which allow your favourite foods to be only a tap away. Payment details can be saved, so you don’t even have to re-enter them every time you want a takeaway. Pizza giants Domino’s and Pizza Hut have got in on the act, too, with their own online apps, which enable you to track orders from start to finish. What’s more, food shopping has largely become a cash-free zone, with people paying for weekly shops on credit and debit cards and gaining discounts from Nectar or Clubcards. At the supermarkets’ smaller, high-street stores, such as Tesco Express, Little Waitrose and Sainsbury’s Local, customers are actively encouraged to use the self-service checkouts where card payment is prioritised. At the airport, as well, boarding passes can be brought up on phones, removing the need for printed tickets or printouts of boarding passes, while card payments are encouraged in the shops, restaurants and duty-free stores that appear in most airports. On board the flight, the cabin crew prefer you to pay with card over notes or coins if possible. London buses, meanwhile, have been cash free since July 2014, with TfL saying at the time that not accepting cash fares from passengers would save £24 million a year. London’s tram network followed suit in July of this year after engagement with the public and stakeholders which found that the vast majority of tram users used pay as you go with Oyster or contactless to travel. Less than 66 paper single tickets were sold a day across London’s entire tram network, which motivated the plans for an entirely cashless system where ticket machines are removed and prepaid or contactless travel is encouraged. Cheques have become almost obsolete; at any rate, they now seem archaic. And the idea of traveller’s cheques is alien to anyone under the age of 40. Banks now send online statements as standard, unless you request for paper statements to still be sent. High street branches of banks, meanwhile, are either closing because demand for traditional services has dried up, or they have massively reduced their operations. A person paying cheques or cash in, or taking cash out, happens so much rarer now. So much of life is now lived by our cards or phones – online, interactive, at the click of a button. Contactless seemed a bit daring and futuristic when it first arrived on the scene, now it’s entirely humdrum. We think nothing about ordering and paying for takeaways online, or doing the same for taxis, flights, trains, clothes and holidays. Thinking about it, the only time I really have any call for cash is at the barbers, certain pubs and restaurants where card payment isn’t on offer, and tipping after meals (even then, many establishments now add an optional service charge to your bill). I suppose, for a pint of milk, a loaf of bread and a paper, you might still need a couple of pounds spare (off licenses and convenience stores tend to have a minimum card payment of £5), but in most aspects of life you can now survive without cash and paper. Most transactions when it comes to property are cashless (not surprising given the sums involved). There may be times when cash could be needed, a small administration or repair fee here or there, but in most cases card, direct debits or other forms of remote payment will be king. Ground rents, service charges, deposits, mortgage repayments, rent, letting agent fees, repairs, maintenance, renovations, etc – 99 times out of 100 these won’t require someone resorting to cash. While the property industry is largely cashless, it scores less well on the paperless front, with tenancy agreements, tenancy contracts and all the legal and mortgage paperwork (which is plenty) required for a house purchase/sale still likely to be printed out. 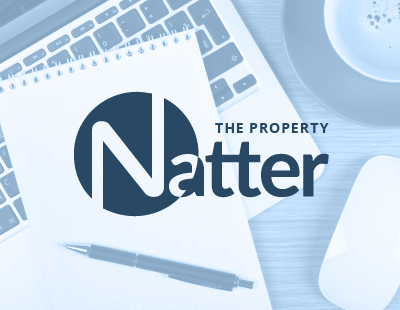 Correspondence between agents, sellers, conveyancers, buyers, tenants and landlords is also likely to still be in letter form as well as emails. Anyone who has ever remortgaged will tell you just how much paperwork there is to sift through, while it’s a similar case for landlords and letting agents abiding by the huge amount of regulation at play in the private rented sector. Tenants, too, are likely to face a heap of paperwork when they start a new tenancy, while many estate agents – even in this online age – still rely heavily on brochures, flyers, printed floorplans and other paper marketing materials. Things could be starting to change, though. In April this year the first digital mortgage was lodged with Land Registry by Coventry Building Society and Enact Conveyancing, heralding a possible step-change in how mortgage deeds are managed. For the first time in its 156-year history, an online mortgage deed was entered into the Land Register for a home in Rotherhithe, south-east London. It was carried out under the government department’s ‘Sign your mortgage deed’ service, which is part of a wider plan to build for a future without the need for a witness to watch as the homeowner applies an ink signature to a paper mortgage deed. This, in turn, should save time and provide a more secure service to homeowners, lenders and conveyancers. The registration also formed part of Land Registry’s plans to transform the conveyancing market through quicker and simpler digital services and improved use of technology. Transactions will be instantaneous where possible, while the home buying process itself will be simplified. This move, by a key government department, along with the growing number of PropTech operators digitalising various services makes the prospect of a paperless (or much less paper-reliant) property industry in the future much more conceivable. Hi Christopher, thanks for the comment. With all the talk of a cashless revolution and the advent of a cashless society at some point in the future, I got to thinking the other day - while out and about on the high street and travelling to and from London - how much do I actually use cash anymore? Could I get away without it? Do you need it in the modern world? There are obviously dangers and risks at play, but I think we're most of the way towards a cashless society already. And, before long, the desire for a paperless society will be strong as well, particularly with the current environmental concerns regarding global warming and wastage. It's a bit scary, but if done right - and in a regulated fashion - a cashless, paperless society could work. I think the move towards digital mortgages is also an interesting one, and could save a lot of time, hassle and stress for a lot of people.